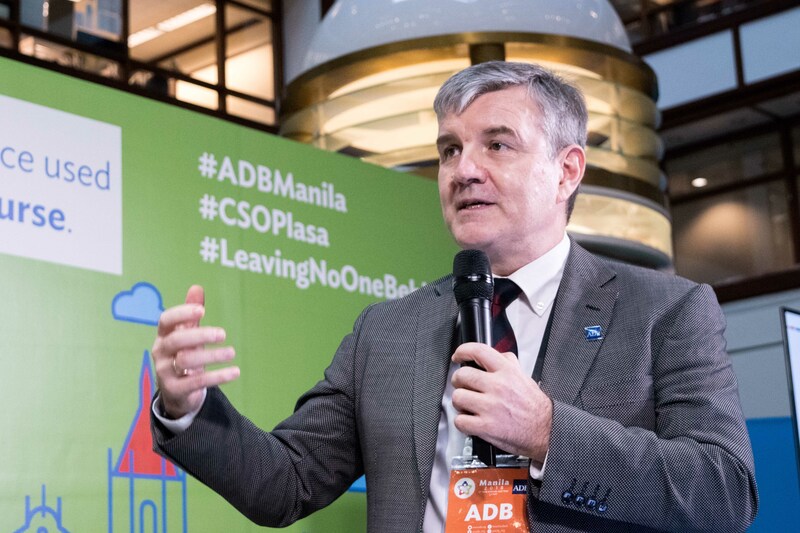 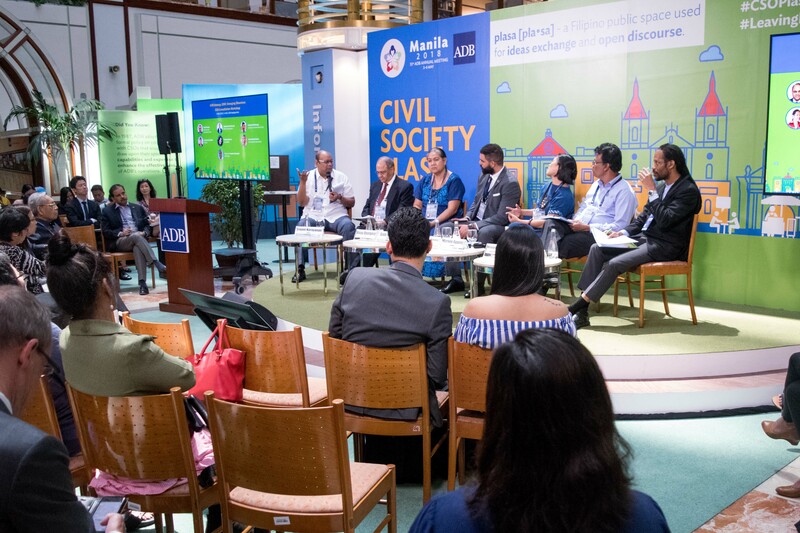 Asia Society for Social Improvement and Sustainable Transformation (ASSIST), in cooperation with the Asian Development Bank-NGO and Civil Society Center (ADB-NGOC), headed two side events during the 51st ADB Annual Governors’ Meeting, which was held last May 2 to 5, 2018 at the ADB Headquarters. 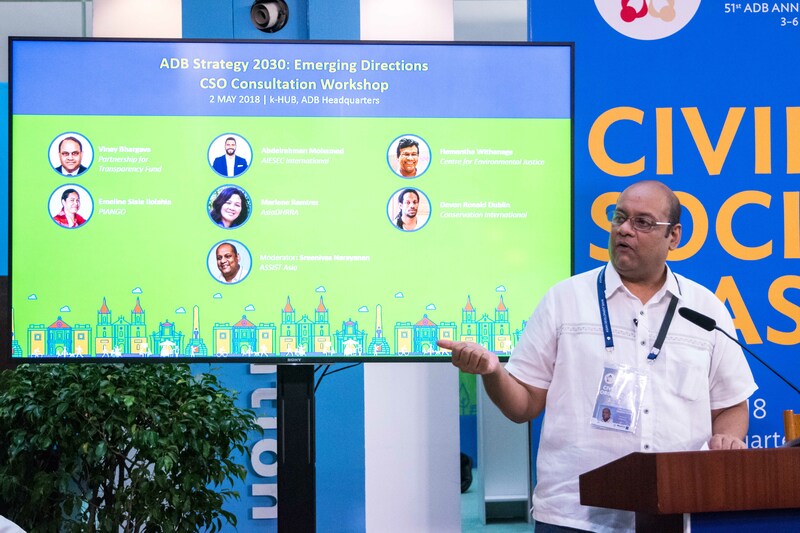 The CSO Consultation Workshop and the Civil Society Plasa Celebration gathered different CSO representatives who introduced their respective organizations and discussed their efforts on how they work towards the Sustainable Development Goals’ (SDGs) vision of #LeavingNoOneBehind. 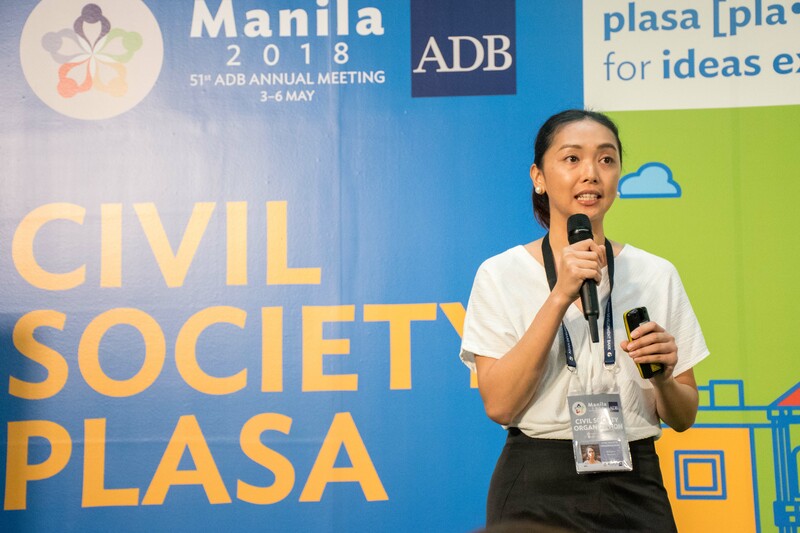 DigiBayanihan (DB) Program Manager, Maryanne Mendoza, took part in the SDG talks, wherein she introduced DB and its initiatives, Test Hero and The Career Engine, and discussed how digital technology currently contributes to address social problems such as access to education, lack of basic digital skills, and digital threats.